In hospitality jargon, ‘Upselling’ is the opportunity that hotels have where they can provide additional services to their guests that will enhance their stay. The right PMS should be able to empower you to maximize your chances and benefits of Upselling. How do you, then, decide on which PMS to opt for? We’ll get to that right after we discuss the features that your PMS must have to make that happen. Hotelogix cloud-based Hotel Management System helps you out with your reservation-related tasks but it is also capable of so much more than that. 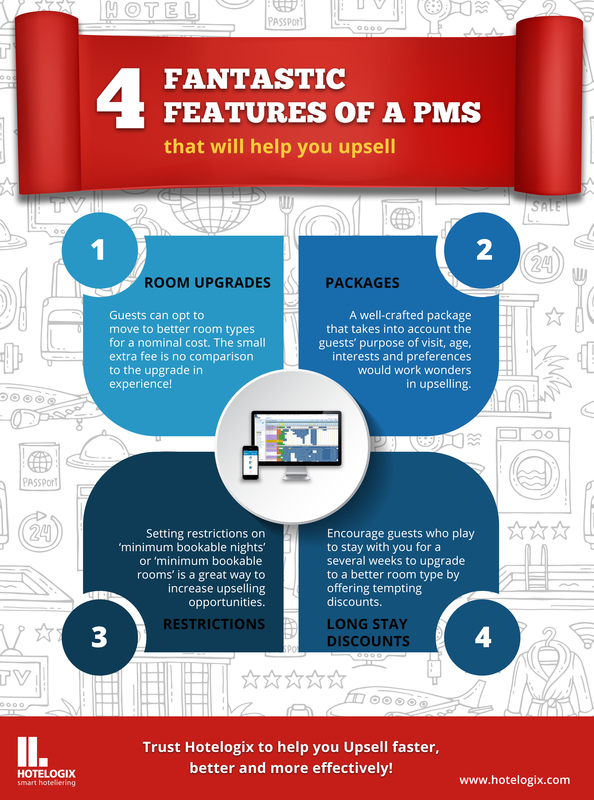 Listed here are only a few features of the Hotelogix PMS that helps you with Upselling better. Get a copy of our eBook to learn more.